Once I started reading ALONE ON THE EDGE I couldn’t stop. I had to know what happened to Anna and the computer. The author spun a fascinating tale of a young woman as the sole crew member of a deep space mining outpost for six long years, with only the central computer for company. Unlike some depictions of young women written from a male perspective, I found Mr. Stutzman’s presentation of Anna to be spot on in most respects. 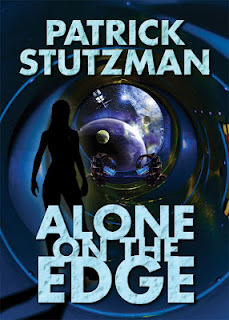 With elements of psychological thriller, romance, and rollicking good adventure, ALONE ON THE EDGE was a riveting read. I look forward to the sequel ALONE IN PARADISE and you can bet I’ll lose a night’s sleep reading that one, too!